Our staff is dedicated to providing friendly, personalized service to all of our patients in and around Mesa, AZ. We believe in creating long-lasting relationships with our patients and treating them like family. We explain all the dental procedures and inform them of any insurance or financial issues before treatment; this allows our patients to see the whole picture and feel comfortable that they have chosen a dentist they can trust with their oral health. Loraina is a self-proclaimed Air Force brat, and saw much of the world growing up in a military family. She graduated from the University of Arizona with a double major and minor and then felt at home in dentistry, due to her many orthodontic visits as an adolescent. 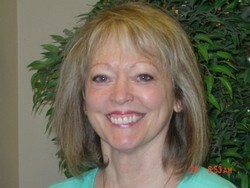 She began her career as a certified dental assistant and moved to the challenges of the front desk over 25 years ago. She found her "home" with Dr. Dickerson in August, 2003 and enjoys the personal contact she is able to maintain with our patients. 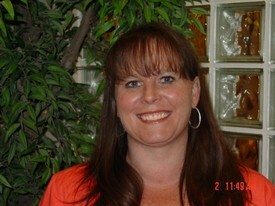 Originally from Joliet, Illinois, Karin moved to Arizona in 2003 to be closer to her family. 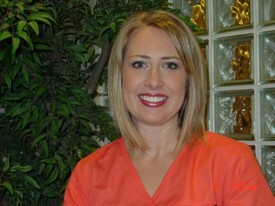 She attended Joliet Junior College before deciding to enter the dental field, and has been as assistant since 1998. She has been an invaluable member of the Dickerson team since April, 2009. Karin has two daughters. Together they enjoy bowling, swimming and any outside activities. 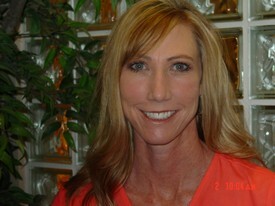 Deanna's love for dentistry began in 1994 as a chairside dental assistant in Mesa. 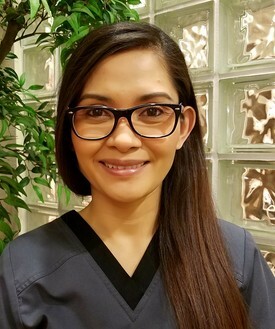 She continued on to graduate with highest distinction from Rio Salado School of dental hygiene in 2004, and joined the Dickerson team in August, 2009. She has felt at home ever since. She especially enjoys getting to know the patients and families she cares for and not just their teeth and gums! As a native of the Chandler/Gilbert area, Deanna enjoyed the western way of life growing up, participating in rodeos. She, along with her husband and two children, now reside in San Tan Valley (Queen Creek). She enjoys being active and spending time at home with her family and animals. Tiana graduated from Rio Salado School of dental hygiene. She has been practicing hygiene since 2008 and absolutely loves it! 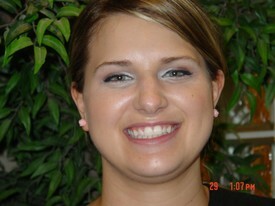 She has been with Dr. Dickerson's office since February, 2010. She was raised in raised in Gilbert where she met and married her high school sweetheart.They live in Gilbert with their daughter and 3 sons. Tiana enjoys chocolate, spending time with her family, scrapbooking, traveling and cooking. Jenny is one of the rare Arizona natives! Her love of all things dental started when she had braces her senior year of high school. Upon graduating, she started in the dental field as a chairside dental assistant. She graduated from Carrington College Dental Hygiene program early 2015 and has been practicing ever since. She has been a part of the Dickerson team since June, 2016. She and her husband live in Mesa with their two daughters. She spends her free time hanging out with her 5 sisters, cooking and camping. Donna is the newest member of the Dickerson team, starting with us in March, 2018. She was born in the Philippines, is fluent in Tagalog, and has been in the United States since 2004. Her favorite dish from the Philippines is called Giniling, a stew of ground beef, potato, carrot, garlic, onion and tomato sauce. She was inspired by her family to join the dental field and graduated from The American Institute of Dental Assisting in 2016. She has a wonderful husband and a teen-aged daughter that she loves to play X-box with. In addition to her love for her patients, she also has a passion for animals and has four dogs: Ollie, Chucky, Daisy and Blue.